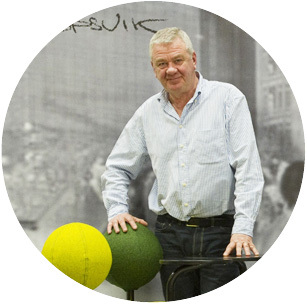 The Globe Concept is developed by the Norwegian designer Peter Opsvik, renowned for the classic high chair Tripp Trapp, the office chair Capisco and the revolutionary Balans concept. Inspired by the trees he climbed in his childhood, the result is an entirely new concept for the modern, flexible workplace. The Globe Concept is a joint project with Anders Olsson of Moment AB, who participated in the chair’s development and is responsible for rights management, sales and distribution. As a Norwegian industrial designer, Peter Opsvik trained at the Bergen College of Applied Art and the Norwegian State College of Applied Art, in Oslo. 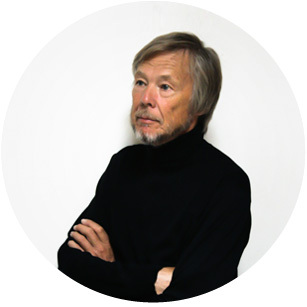 Opsvik has worked as a freelance industrial designer since 1970 and he currently has his own design studio in Oslo, where he works with seven colleagues. Opsvik has attempted to overcome our stereotypical sitting habits with his unconventional seating solutions. With rational, ergonomic products, his goal is to move the human body. For many decades, he has worked in close collaboration with the manufacturers HÅG, Stokke and Cylindra, all of whom have received numerous Norwegian and international design awards. When Anders Olsson became responsible for the establishment of HÅG’s office chairs in Sweden in 1980, the turnover was virtually zero. Twenty-six years later, when Olsson resigned as the managing director, HÅG Sweden had over 20 employees, over 100 resellers and a turnover of SEK 90 million. Thanks to its superior distribution, the best customer service in Sweden and the courage to be “different” from its competitors – HÅG took a strong hold on the Swedish office and conference chair market. Today, Olsson runs the agency business Moment AB and is the co-producer, Scandinavian distributor and proprietor of the concept’s worldwide rights.